THE Spring & Summer Lunchtime Concerts Season at St David’s Hall features compelling performances from a selection of supremely talented soloists, quartets and ensembles! Plus, the best part is that all but one of them are ‘Pay What You Will’, so all you need to do is turn up in time for the 1pm performance and pay what you feel is appropriate – it couldn’t be easier! First up is one of Norway’s most sought after ensembles the Engegård Quartet (Tues 6 March), who share their stunning Scandinavian sound with bold and fresh interpretations of Haydn and Grieg. Since forming under the midnight sun in Lofoten in 2006, the Engegård Quartet have garnered international acclaim, and performed in some of Europe’s finest venues including the Mozarteum in Salzburg and Prague’s Rudolfinum (PAY WHAT YOU WILL) – the Engegård Quartet is supported by the Norwegian Arts Council. 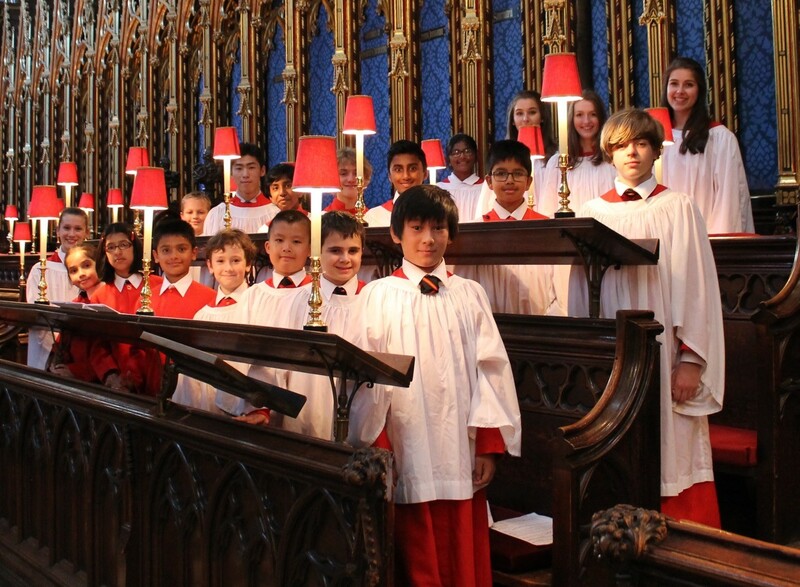 Later that month, the Cardiff Metropolitan Choir (Tues 20 March) return with members of the Concert Orchestra of St John’s College led by Director, Jeffrey Howard. 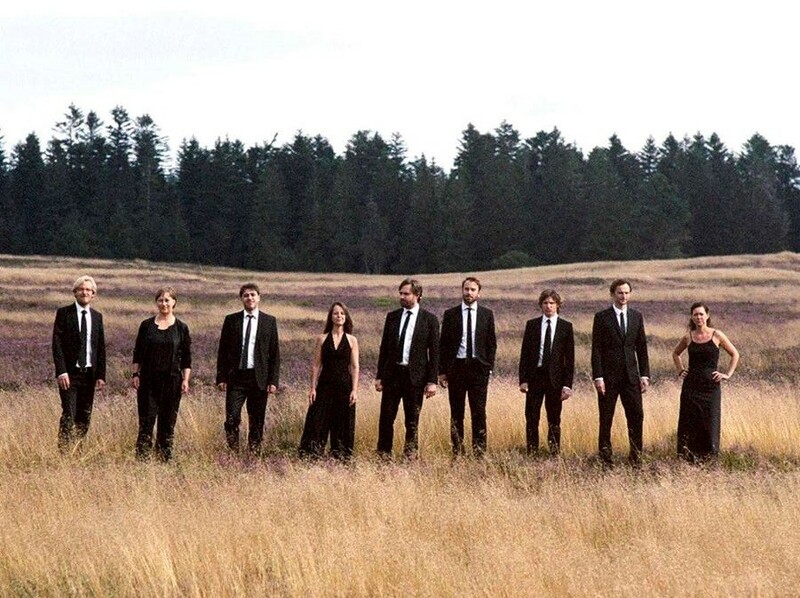 Their exciting To America and Back programme includes captivating choral and orchestral pieces of composers from Britain and across the Atlantic. Early booking is recommended for this popular concert. (£6 IN ADVANCE & £7 ON THE DAY – CONCESSIONS ARE £5 IN ADVANCE & £6 ON THE DAY). Then there’s the dynamic duo of Sara Trickey, Violin & Robin Green, Piano (Tues 17 April), who join forces for a rousing repertoire of Brahms, Beethoven, Schumann and Kreisler. Fresh from performing as soloist at Cardiff Philharmonic Orchestra’s Classics for All concert in March, Sara Trickey further demonstrates what makes her one of the most virtuoso and varied violinists around. 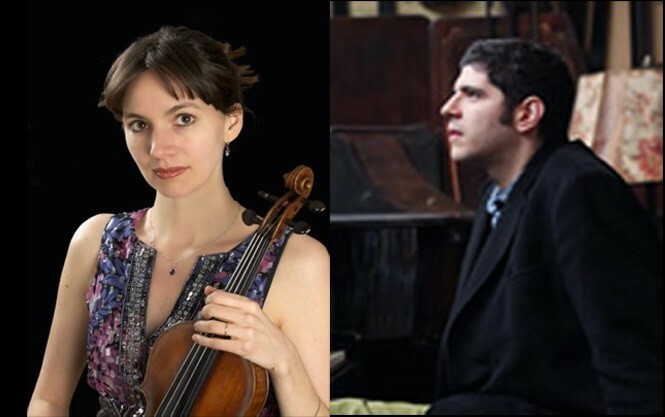 Sara shares the stage with fellow Odysseus Trio member Robin Green, who has held residencies at the Vale of Glamorgan Festival and at St John’s Smith Square, and performed in prestigious venues such as Wigmore Hall and the Vienna Musikverein (PAY WHAT YOU WILL). 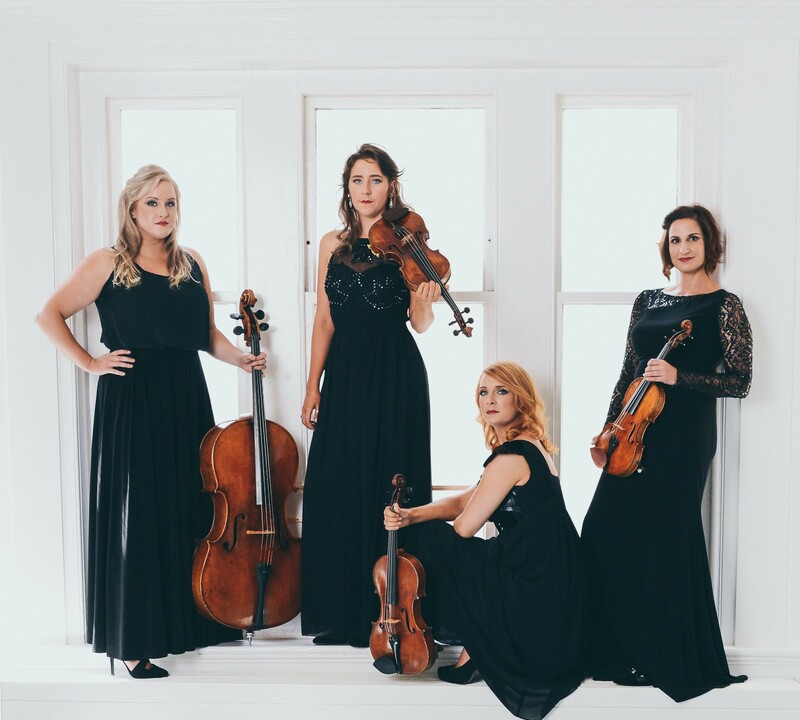 St David’s Hall favourites the Mavron Quartet (Tues 8 May) are back with string recitals of Mozart and Ravel performed in their inimitable style. In 2010, the Quartet became the first ever Ensemble in Residence at St David’s Hall and also hold residency at The Gate in Cardiff (PAY WHAT YOU WILL). Denmark’s Ensemble Midtvest (Tues 15 May) close the season in style with a versatile and vibrant repertoire including Per Nørgård’s intimate and touching soundtrack to the Oscar-winning film Babette’s Feast. The concert brings together 10 acclaimed soloists from across the globe and also features John Metcalf’s Ynys Las and Matthew Jones’ Wind Quartet. Matthew also appears in an intriguing pre-concert talk, whilst there’s a post-concert illustrated talk by John Metcalf with musical examples from John’s Six Palindromes performed by Ensemble MidtVest (PAY WHAT YOU WILL) – in association with the Vale of Glamorgan Festival, John Metcalf, St David’s Hall Composer in Residence and is supported by funding from Tŷ Cerdd. All of the Lunchtime Concerts in the Spring & Summer 2017/18 Season at St David’s Hall are ‘Pay What You Will’ except for Cardiff Metropolitan Cathedral Choir (Tues 20 March), which is £6 in advance and £7 on the day (concessions are £5 in advance & £6 on the day). 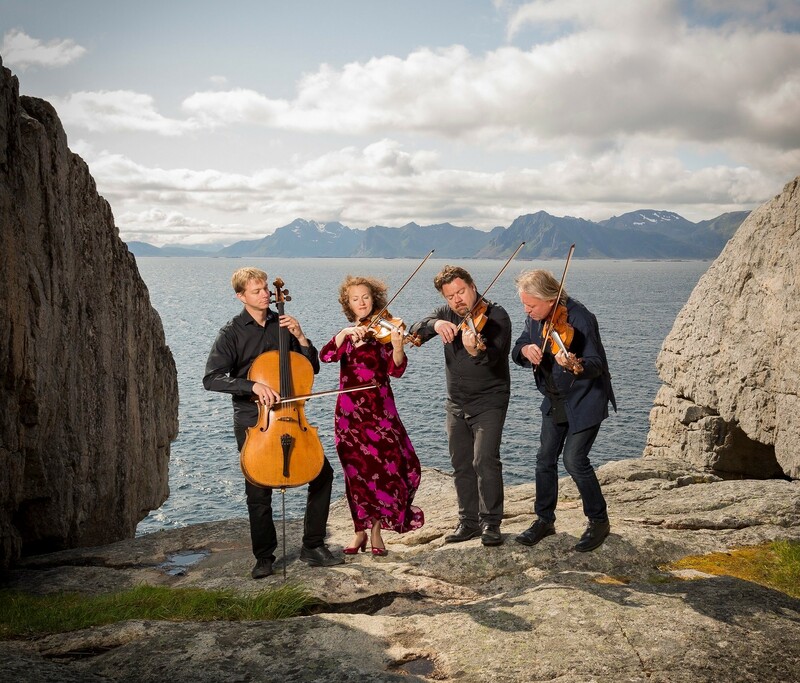 The Engegård Quartet is supported by the Norwegian Arts Council. John Metcalf, St David’s Hall Composer in Residence and is supported by funding from Tŷ Cerdd.